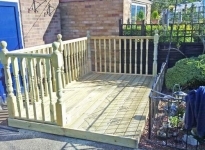 Decking is very versatile as not only does it create more space within your garden, but it also can be used to construct paths and walkways. 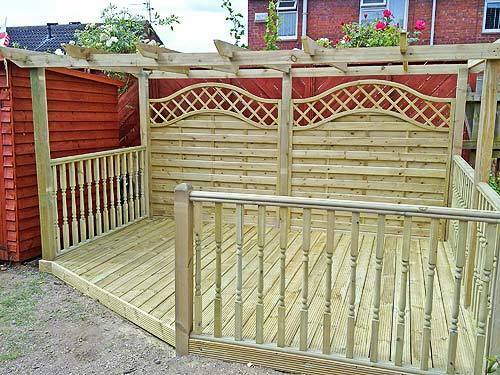 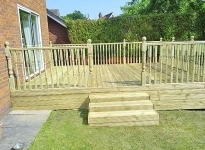 Located in Hull, East Yorkshire, we have a wide range of garden decking to help you with your project as part of our comprehensive landscaping services. 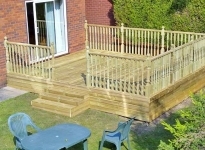 All of our garden decking boards carry a 25 year guarantee, which means that they are protected from rot and insects. 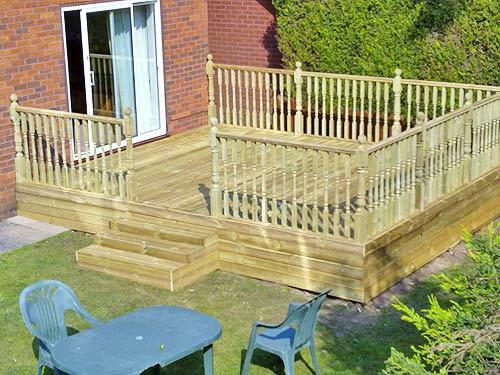 All of the decking boards that we provide contain grooves to create a safer, more slip-resistant surface. 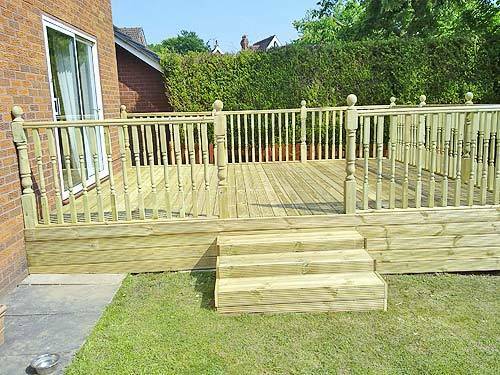 The plain, clean boards of our decking create an ideal setting for showcasing colourful plants as well as stunning walkways decorated with balustrades for the perfect finishing touch. 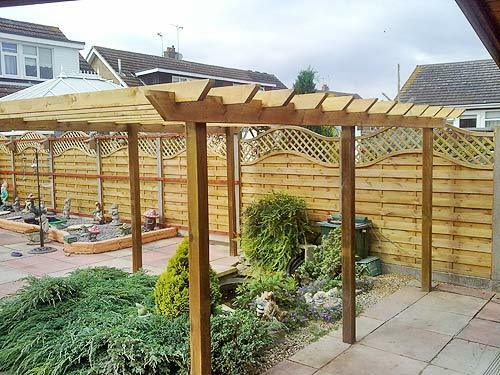 Please note that timber is a natural product and can shrink or expand in varying weather conditions as a result. 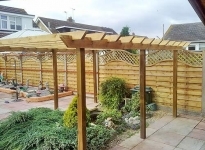 If you would like to know more, simply contact us today to speak to one of our knowledgeable professionals. 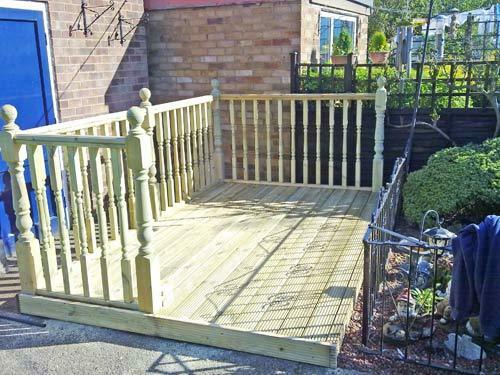 Alternatively, you can visit our showroom in Hessle Road to view our full range of products. 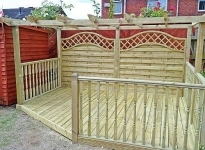 You also receive a free estimate on our garden decking as well as quality fencing and sheds.